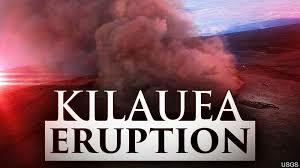 Breaking News – Hawaii’s Kilauea Volcano Lava Flow Covers 1 Well At Geothermal Power Plant A lava flow from Hawaii’s erupting Kilauea volcano that damaged a geothermal power station has stalled, as have lava fountains gushing 100 feet (30 meters) into the air, offering momentary relief to an area under siege for 25 days, officials said on Monday. A special task force headed by Tom Travis continues to work to make the wells safe and to prevent any threats to the public from developing. At this time there is no hydrogen sulfide detected. Officials earlier this month carted away 50,000 gallons of potentially toxic gas away from the site, which lies on the southeast flank of the volcano, nestled between residential neighborhoods. They also capped the 11 wells at the property to try to prevent a breach.